Agency Network Exchange was founded by independent, growth-oriented insurance agents. Today the Board of Directors reflects our commitment to knowing and supporting our member agents. Ray joined the Prudential Life Insurance Company in Newport, RI after graduating from Roger Williams University in 1986. Within a year, he joined his father at the Pavese-McCormick Insurance Agency and built a sales model and culture to expand the Agency footprint from Middlesex County to thousands of clients throughout New Jersey. Eventually buying the agency with Michael McCormick from their fathers, the agency is now one of the largest in central New Jersey with clients spread across the Mid-Atlantic region. Ray is a founder of Agency Network Exchange, a past President of the Middlesex County Independent Insurance Agents, Exchange Club of New Brunswick, the Brunswick Bank and Trust Advisory Board and the Executive’s Association of New Jersey (EANJ), one of the oldest and most prestigious networking organization in New Jersey. 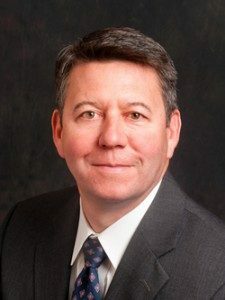 CEO and shareholder of Agency Network Exchange, John K. Tiene, a recognized leader in New Jersey’s property/casualty insurance industry, has lead the group’s rapid expansion since September 2011. Today, ANE is the fastest growing and most innovative alliance for independent insurance agents in the Mid-Atlantic region. Recently named to Selective’s New Jersey Regional Producer Advisory Council, John continues his role as a trusted advisor to leaders of our industry, a role that began more than two decades ago. Prior to joining ANE, he was Director of Personal Lines Sales and Marketing for OneBeacon Insurance Group, Ltd., an independent agency company. 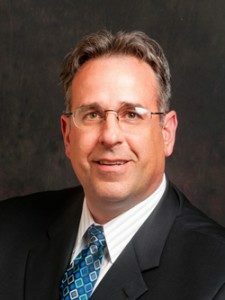 John joined OneBeacon in 2003 as Vice President for strategic initiatives for New Jersey Skylands Insurance Association, a reciprocal entity managed by OneBeacon. During his time at OneBeacon, he conducted extensive research into building effective independent agency distribution systems. He represented OneBeacon on the advisory board of Trusted Choice®, the agency marketing organization of the Independent Insurance Agents and Brokers of America (IIABA) and the Insurance Council of New Jersey where he served as a member of the Executive Committee. 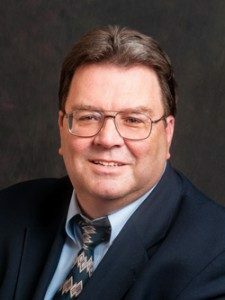 The Professional Insurance Agents of New Jersey, New Jersey’s Insurance Fraud Prosecutor and Business News New Jersey have recognized John for his accomplishments and service to the Garden State’s property/casualty insurance industry. For more than a decade he was the chief lobbyist and spokesman for the Garden State’s $12 billion property/casualty insurance industry. As President of the Insurance Council of New Jersey, he was directly involved in the development and passage of major legislative and regulatory reforms including the comprehensive legislative initiative to reform New Jersey’s automobile regulatory system in 2003. He also served as chairman of the state-mandated commission that handled the politically sensitive issue of redrawing the geographic boundaries for automobile insurance rating for the first time in more than sixty years. A Principal and President of JGS Insurance, Vinnie has been in the insurance business his entire life. Vinnie joined his father and brother at JGS Insurance in 1989 after graduating from Villanova University. He is a recognized expert on insuring community associations and is active with the Community Associations Institute (CAI). He holds the designation CIRMS™ (Community Insurance and Risk Management Specialist). 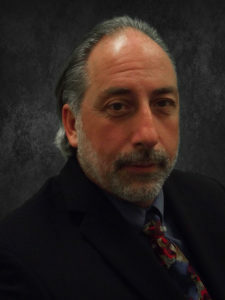 Vinnie has served on the Board of Directors of CAI and is a past President of the New Jersey Chapter. He has also chaired the National Insurance and Risk Management Committee for the CAI National Organization and actively serves on several Committees. 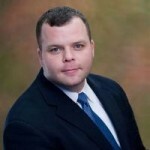 Vinnie has also been active with the Independent Insurance Agents and Brokers of New Jersey. He also has served as past President for the Independent Agents Monmouth County. After attending Ramapo College, Steve joined his father A. Vincent Perna and brothers Vince & Tom Perna at United Assurance in 1985. Steve is responsible for purchasing the agency’s first computer in the mid 80’s and implementing and managing all aspects of technology utilized by the agency over the last 30 years. Along with technology, Steve managed the agency’s Personal Lines Division along with sales and servicing of the agency’s high net worth accounts. Over the years, Steve has served on a number of company agency advisory councils. After graduating from Marist College in 2011, Steve’s son Anthony joined United Assurance, continuing his grandfather’s agency into its third generation. Steve’s second son John is currently attending Marist College and plans to be working with his father within the next few years. In January 2015, Steve accepted the position of Director of Operations of United Assurance. As Director, he is responsible for all aspects of agency operations, while working along side his brother Ken Perna, the agency’s CFO. In his spare time, Steve can be found skiing, cycling or fishing. A Principal and Chief Operating Officer of JGS Insurance, Ken joined his father at the agency in 1987. He is also President of Preferred Property Program, Inc., a risk purchasing group administered by the agency that provides various specialty insurance programs for condominium associations and certain habitational markets. Active in industry affairs, he is a past national chair of the Community Association Institute’s Insurance Risk Management Committee; past chair of Firemans Fund’s National Small Business Committee and past national chair of CNA’s Global Specialty Lines PACER Committee. Ken is also very active in his local community currently serving as Vice President of the Tinton Falls, NJ Board of Education. Michael started his career with NIA, Ltd in 1985, leaving it in 1989 to join the Dennis J. Valvano Insurance Agency. In less than ten years, Michael earned partial ownership of the agency and in 2001, he purchased the remaining shares succeeding James Valvano as owner and President of the agency. Under Michael’s guidance and leadership, the agency (now VIA Insurance Agency, Inc.) has grown by more than 400% while specializing in Wholesale, Manufacturing and Distribution accounts and focusing on customers that “make things”. Licensed in Property & Casualty, Life and Health in multiple states, he is also the owner of VIA Benefit Solutions and holds his CPIA and LUTCF designations as well as Series 6 and 63 licenses. Michael is a past board member of the Utica National Customer Council and the Stephen F. Mannuzza Foundation. He currently sits on the boards of United Investors Federal Credit Union, Merchants Insurance Group Advisory Council and the Linden Police Athletic League. Michael and his wife of 26 years, Laura, reside in Millstone Twp. ; they have two children Emily and Michael. In his spare time, Michael can be found hunting and/or fishing. Michael is a founder of Agency Network Exchange, LLC and served as the President. A graduate of Villanova University, Michael joined Pavese-McCormick Insurance Agency in 1988 to work with his father. Eventually buying the agency with Raymond Pavese from their fathers, the agency is now one of the largest in central New Jersey with clients in most Mid-Atlantic states. He is an Accredited Advisor of Insurance, former President of Middlesex County Insurance Agents and a founder of Agency Network Exchange. He has sat on the Agents Council for Ohio Casualty Insurance Group, the Point of Woods Condominium Association Board of Directors and St. Peters University Hospital Golf Committee. He lives in Freehold and can be found most weekends coaching sports for his two boys. After graduating from St. Joseph’s College of Indiana, Tom briefly went to worked with his father, A. Vincent Perna, at his father’s agency. He also played semi-pro baseball out of college. He left for a year to gain experience at Metropolitan Life and rejoined the agency. Tom eventually convinced his older brother Vince to join him at the agency as the agency was growing and operating several programs for jewelers and dog groomers. Over time, all of A. Vincent Perna’s sons joined the agency, known today as United Assurance. Tom is President of the agency, one of the largest insurance agencies in the New York-metropolitan area. Recognized as a specialist of large accounts, specifically construction-type risks, Tom has served on a number of company agency advisory councils. 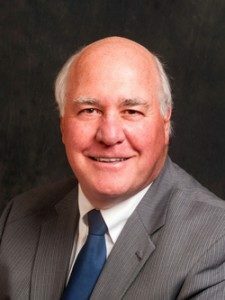 President of Bogle & Merwin Paolazzi Insurance LLC and Bogle Agency Insurance, Phil joined the agency over thirty years ago. Today, his daughter and son are the fourth generation and continue the tradition started by Phil’s grandfather in 1919. The Bogle Agency Insurance has earned the “Best Practices” accreditation from the Independent Insurance Agents & Brokers of America (IIABA) for the past nine consecutive years. 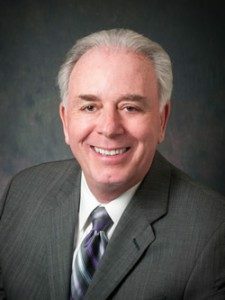 He is a Board member of the American Insurance Marketing & Sales Society (AIMS) and is a past President of the Independent Insurance Agents of Bergen County. 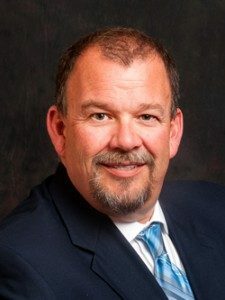 Michael joined the agency in 1989 and in 2005, he and his partner Anthony Paolazzi purchased the majority of the book of business and founded Merwin & Paolazzi Insurance Agency, Inc. Prior to joining the agency, Mike held various management positions with several insurance companies including branch underwriting manager for CNA Insurance. Today, he is President of the agency and specializes in the handling of large complex accounts. 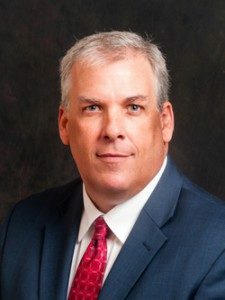 Andy Harris has more than 39 years of experience in insurance sales and agency management, including more than 32 years as the President and CEO of Liberty Insurance Associates. As the majority partner in Liberty Insurance Associates, Harris has directed the growth of the organization from a small agency handling mostly personal insurance to a multi-lines agency with over 40 employees. Within the insurance community, Harris is active in the Professional Insurance Agents at both the national and state level (PIANJ). Andrew was recently President of the National PIA from 2012-2013. He served as President of PIANJ from 1998-1999. In June of 2006, Harris was awarded PIANJ’s Distinguished Insurance Service Award. From 2003-2008, he served as the President of the Proformance Insurance Company. In addition, he is the current Vice Chairman of the Board of Directors of New Jersey Community Bank, headquartered in Freehold, New Jersey. Andrew joined Liberty in 2007 after 4 years with the National Atlantic Companies and The Proformance Insurance Co. based in Freehold, NJ. He has since learned how to incorporate the knowledge and experience from working in his capacity at the carrier level as both an Underwriter and a Claims Examiner, and brought it into the agency. He is an active member in the New Jersey Young Insurance Professionals, a branch of the Professional Insurance Agents (PIA) of NJ, as well as the Independent Insurance Agents & Brokers of NJ (The Big “I”), and their Young Agents Counsel. Andrew is also active in both the Eastern Monmouth and Greater Monmouth Chambers of Commerce, as well as a member of the Freehold Le Tip Chapter. Neal Stanley has over 40 years’ experience as the president or senior officer of insurance companies and agencies. 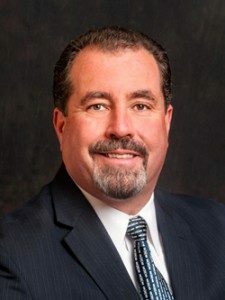 Most recently, he was associated with United Valley Insurance Services, Inc., one of the nation’s largest agency networks, serving as a director and Chief Operating Officer. 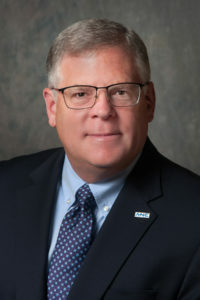 Neal retired from United Valley in 2016, but continues as in a consulting role with the company, assisting its member agencies in perpetuation and acquisitions. He joined the Board of Directors of ANE, Agency Network Exchange, LLC in 2016 as the company’s first Independent Board Member. 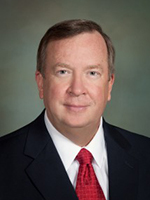 Neal has served on the Board of Directors of numerous industry organizations and is an active member of the State Bar of California.